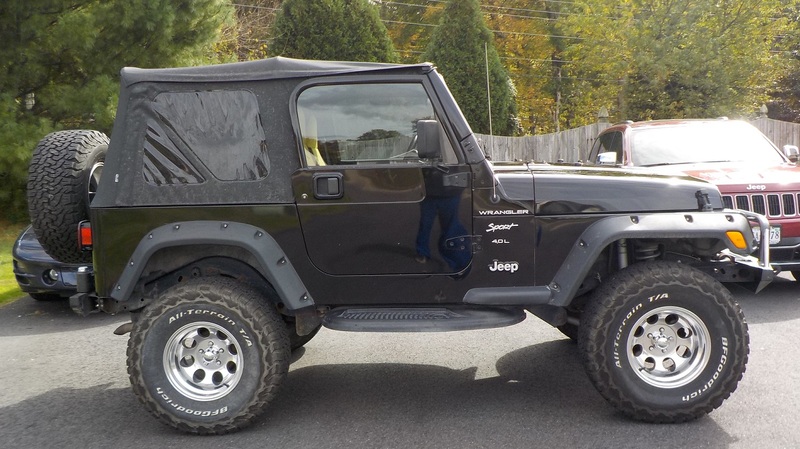 Anyone interested in a 2002 Wrangler? 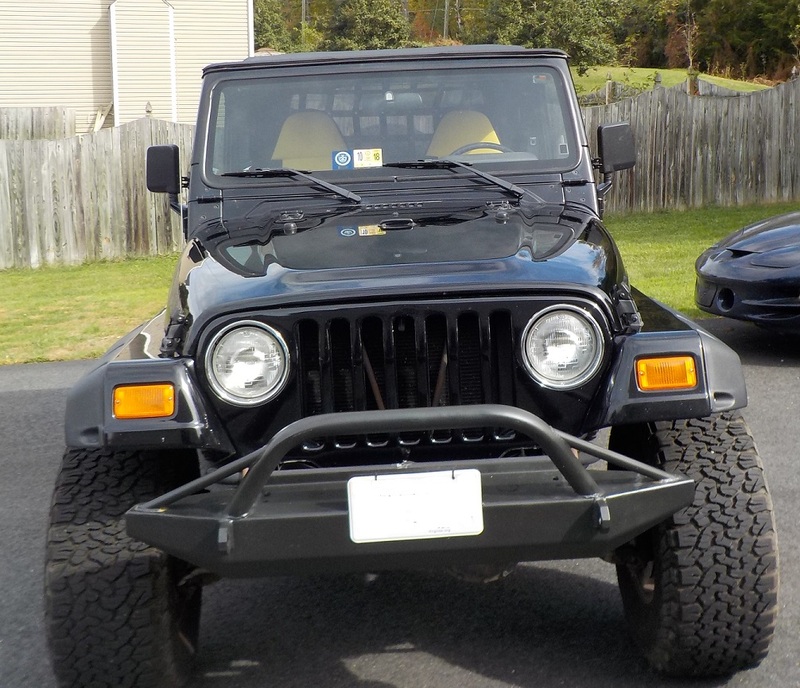 Topic: Anyone interested in a 2002 Wrangler? 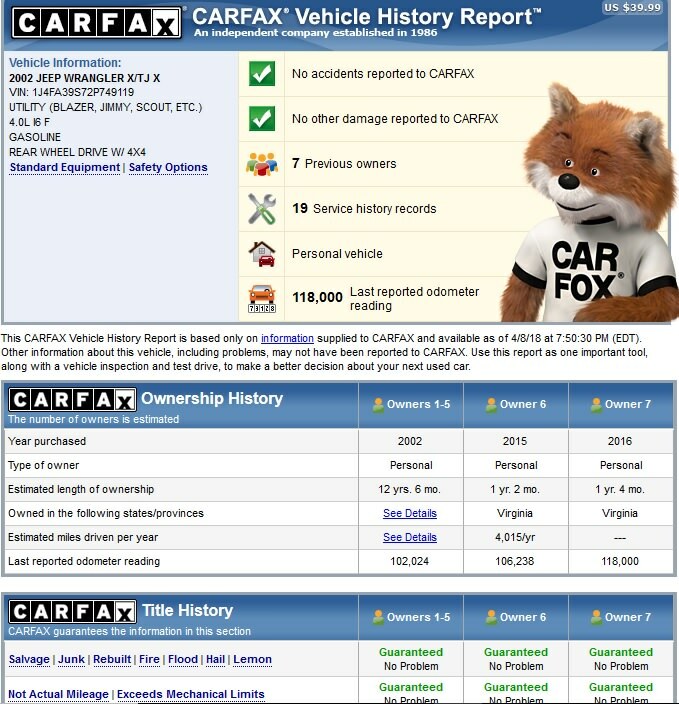 It does seem to be an Apex package. It has the seats, had the sound system, and the radio (though the radio and sound bar have been changed out). The hood doesn't say Apex, but I saw a couple others on the web that said they didn't either. I'm not sure about the steps, since they were on it when I got it. Derale Performance 20561 Direct Fit Transmission Cooler (not installed. I LITERALLY had this on my doorstep Thursday when I got home). I also have door seals for both doors. I was waiting for warm weather to install them. I rolled on some Duplicolor bed liner and removed the carpet since I have big dogs that are dark colored, and the carpet is grey. I have the carpet that will go with the Jeep. The lift and tires were installed mid to late January of 2017. The lift is a Rubicon Express 3.5" with 33" BFGoodrich All-Terrain TA K/O2 tires. This setup has approximately 10k-11k on it. Bumpers are Nate's bumpers, installed around July of 2017. They have extraction points (but I don't have the rings for them, haven't gotten them yet), a push bar on the front bumper with two attachment spots for lights. The rear has a hitch receiver built in. The front is winch ready and the rear has a tire swing out carrier. I also had the side windows on the doors tinted. As for the repairs I was posting about, transmission was rebuilt at Cottmans of Manassas, transfer case is fine (thankfully it was just linkage! ), and the hubs were replaced at the same time since they were discovered to be bad. Both the Cam and Crank position sensors were replaced (those were kind enough to go out at the same time, which was fun diagnosing). This was completed last summer. 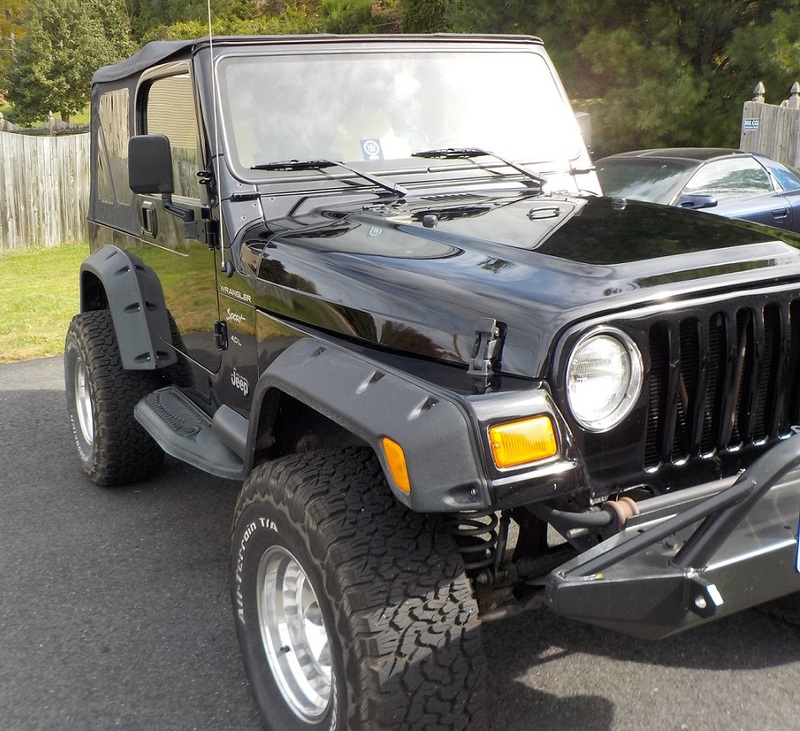 Re: Anyone interested in a 2002 Wrangler? I'm convinced it's because of the 4.0. The TJs were the last ones built with that engine. That and they are very simply to work on, as well cheap to repair.